Depending on the nature of your business, plastic barrels might be the storage and shipping solution you’ve been looking for. They can be used to store and ship a range of materials, including food, beverages, lubricants, acids, solvents and other industrial materials. Completely reusable, plastic barrels are good for the environment and they won’t cost you a lot of money. You can save even more money by buying used plastic barrels. 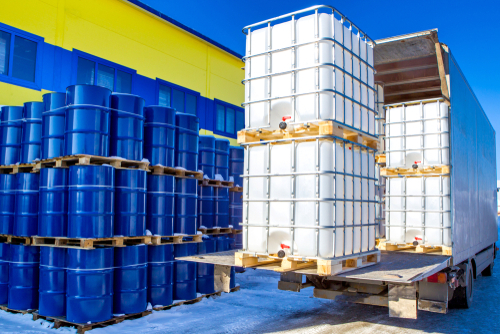 We’ve rounded up some of the benefits of using plastic barrels for shipping and storage. Plastic barrels come in a wide range of shapes and sizes, including 15-gallon, 30-gallon and 55 gallons’ worth of storage. You can also purchase different kinds of barrels depending on your storage needs, including food grade, non-food grade and those suitable for storing and transporting hazardous materials. You can also find barrels made of metal and fiber. Plastic barrels are perfect for storing and shipping many different kinds of liquids, including those intended for human consumption. They’re durable enough to keep hazardous acids, solvents and detergents contained, even as they travel thousands of miles around the globe. You can even use plastic barrels to ship and store solid goods. If your business sells a wide variety of products, plastic barrels are a great investment for your business. Plastic barrels are also reusable, which saves your company money in the long run. You can easily rinse out the barrel when it’s empty and then use it to ship or store another one of your products. If you’re storing or shipping hazardous items, you may need to disinfect the interior before reusing the barrel. Reusing your shipping containers is also great for the environment. You won’t have to purchase as many shipping materials down the line, which saves precious resources like fuel, electricity and water. This also ensures your shipping materials won’t end up in the local landfill after you or one of your customers is finished with them. Plastic barrels will keep your goods secure for long periods of time without breaking down. If you need to keep items in your warehouse or storage shed for months or even years on end, such as drinking water or cleaning products, plastic barrels will get the job done. Also, they’re reinforced with thick plastic that’s designed to hold up under pressure. You can use them over and over again without degrading the barrel. That’s why used plastic barrels are a wise investment for any business. They’re just as durable and effective as new plastic barrels when it comes to long-term storage. You don’t have to spend a lot of money on storage and shipping when you choose food grade plastic barrels. They’re some of the most cost-effective storage materials on the market today. You can also rest assured you’ll be able to use your barrels for years to come. This allows you to spend more money on other aspects of your business. Before you purchase your first used plastic barrel, make sure plastic is the right choice for your products. 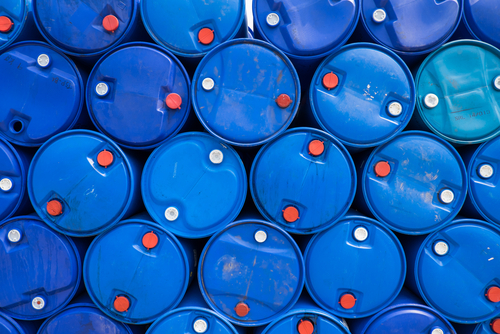 Metal barrels are great for oil and other hazardous materials, including flammable items. Fiberboard drums can be used for consumer goods, pharmaceuticals, glue and paint. Plastic is better suited for liquids and some dry goods. Open head drums are best for liquids, while tight head drums are better for solid goods. Plastic barrels come in a range of sizes. It’s best to fill a drum to its capacity to avoid a lot of sloshing during turbulence, so choose a smaller drum if you need to store less of an item. You can also use plastic pails if you need a storage container that’s less than 15 gallons. 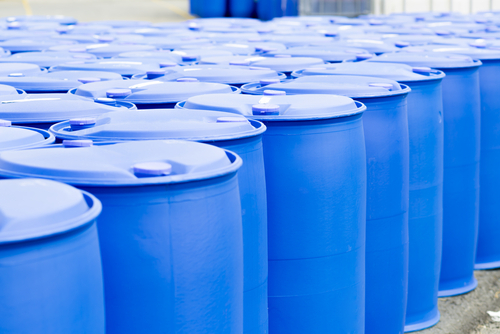 It’s best to keep your plastic barrels in a dry, room-temperature storage facility. While some barrels are UV-resistant, try to keep them out of the sun whenever possible. You also shouldn’t stack your barrels too high. It’s usually best to limit barrel stacking to three rows. Make sure you use pallets to safely move the barrels around your facility. Plastic barrels have so many benefits when it comes to storage and shipping. They’re a lasting investment that helps your business save money. Keep your goods secure and order used plastic barrels today.